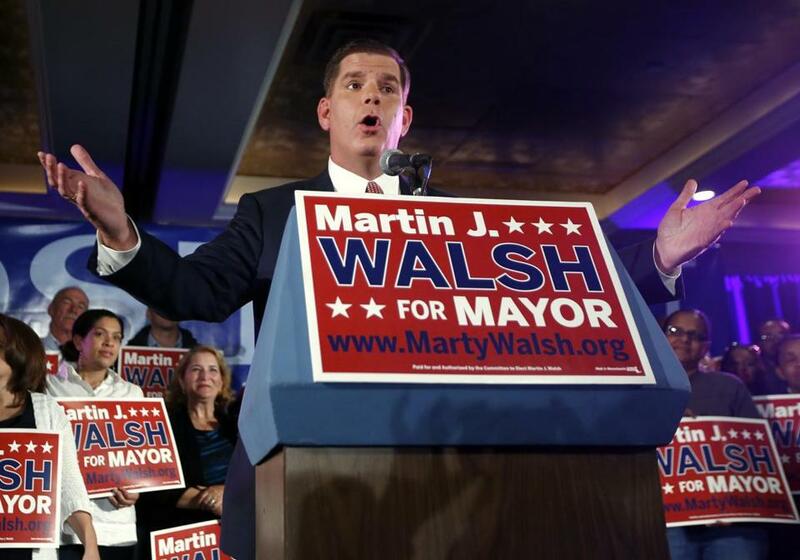 Boston’s mayor-elect, Martin J. Walsh, named three more cochairs to his transition committee Friday and added a roster of nearly two dozen civic and community leaders to advise him on a range of priorities, including economic development, transportation, and public safety. The new cochairs are: Dr. James Mandell, a pediatric urologic surgeon and former chief executive of Boston Children’s Hospital; Paul Watanabe, chairman of political science at the University of Massachusetts Boston; and Beth Williams, chief executive of Roxbury Technology Corp. Shortly after his election, Walsh selected six people to help lead his transition committee. They are Joyce Linehan, a public relations executive; Katherine P. Craven, executive director of the University of Massachusetts Building Authority; Sam Tyler, president of the budget watchdog group Boston Municipal Research Bureau; and former mayoral contenders John F. Barros, former head of the Dudley Street Neighborhood Intiative, Charlotte Golar Richie, former state representative, and Felix Arroyo, a city councilor. On Friday, the mayor-elect also named a team of leaders representing a cross-section of the city. Each team will focus on a specific area of expertise and advise the incoming administration, the Walsh team said. Gary Dunning, executive director of Celebrity Series of Boston, and Cuong Hoang, director of programs at Mott Philanthropic, will handle arts and culture. A new coalition plans to hold Mayor-elect Martin Walsh accountable for campaign promises about creating a more inclusive administration. Donna Cupelo, region president of Verizon, and Pat Moscaritolo, chief executive of the Greater Boston Convention and Visitors Bureau, will advise on economic development. George Perry, an education consultant, and Jeri Robinson, vice president of early childhood education at Boston Children’s Museum, will focus on education. Vanessa Calderon-Rosado, chief executive of Inquilinos Boricuas en Accion, and Joe Kriesberg, head of the Massachusetts Association of Community Development Corporations, will target housing. Sandra K. Albright, former executive director of Kit Clark Senior Services, and Marie St. Fleur, a former top aide to Mayor Thomas M. Menino, will focus on human services. Rosemarie Sansone, president of the Downtown Boston Business Improvement District, and My Lam, project manager at the nonprofit Viet-AID, were picked to handle basic city services. Dr. Paula Johnson, chief of the division of women’s health at Brigham & Women’s Hospital, and David Rosenbloom, professor at Boston University, will handle public health. Robert Dunford, former Boston police superintendent in chief, and Andrea Cabral, state public safety secretary and former Suffolk sheriff, will target public safety. Alex Bok, founder of Boston Baseball Field of Dreams, and Amos Barr Hostetter, a businessman linked to the Barr Foundation, will advise on energy, environment, and open space. Rick Dimino, president of A Better City, and Vivien Li, who heads the Boston Harbor Association, were tapped for transportation. Finally, Mariama White-Hammond, who runs Project HIP-HOP, and Ilyitch Nahiely Tabora, director of the Talented and Gifted Program, will focus on youth. Walsh officials promised more appointments as he expands his transition team. The transition will also include a series of public hearings and a large town meeting-style gathering to solicit input from Boston residents. 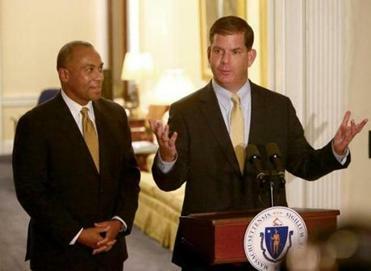 Walsh also said he has launched Boston14.org, a website with information about the transition. It includes an online form to share ideas and accepts resumes for individuals seeking positions on the transition committee and in City Hall. @globe.com. Follow her on Twitter @meghanirons.